Introducing Petra, the delicious microdose mint that puts you in control. 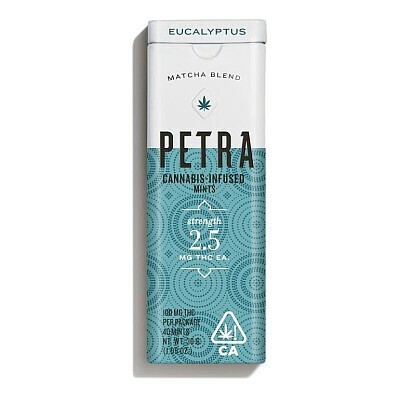 A precise blend of CA grown cannabis, green tea matcha and eucalyptus oil, our refreshing Eucalyptus Petra is perfect for clearing the senses. All Petra flavors are sugar free and contain the natural, plant-derived sweetener xylitol.